The best things come in pairs. 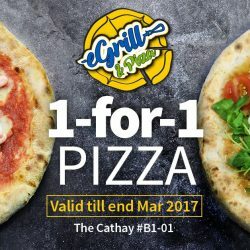 Enjoy handcrafted gourmet pizzas from $9.90 at 1-for-1 at E-Grill & Piza! Traditional made-to-order pizza with quality ingredients. While stock lasts!